The architecture of buildings in Putrajaya has always fascinated me and Tuanku Mizan Zainal Abidin Mosque (lovingly known as Masjid Besi or the Iron Mosque by the locals) is one of the buildings that have a really unique structure. And imagine having the view of this amazing structure while breaking fast and watching the sun setting - that would be such a breath-taking view, I would say. This view was taken from the balcony of Citra Rasa, the all-day dining outlet offering both indoor and alfresco breezy lakeside atmosphere of Dorsett Putrajaya. 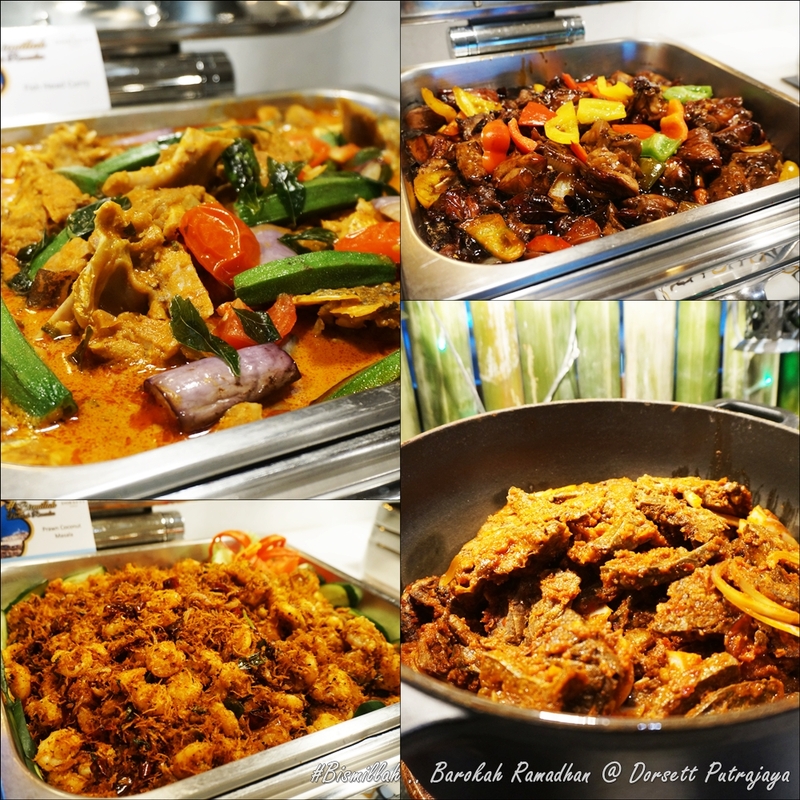 With its theme #Bismillah Barokah Ramadhan, happening from May 8 until June 2, 2019, Dorsett Putrajaya will be presenting its wildest spread of more than 500 authentic and aromatic home-cooked Malaysian delights, every single night! 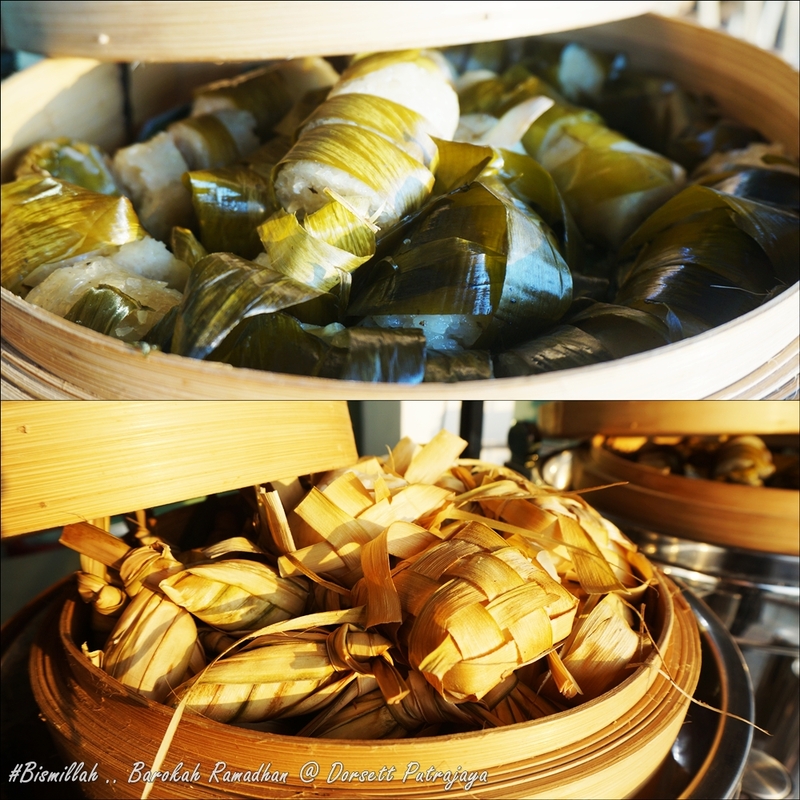 And the highlights of the feast are Durian Buffet and Barbecued Venison! 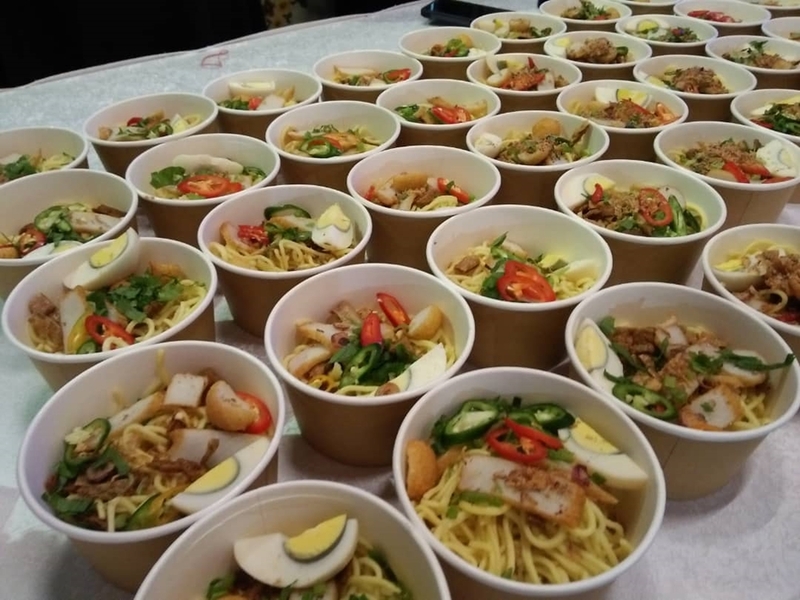 Isma dan Sri Mawar Band will be serenading your company and you while breaking fast here as Dorsett Putrajaya is aiming to engulf you in the wholesome excellent dining experience. 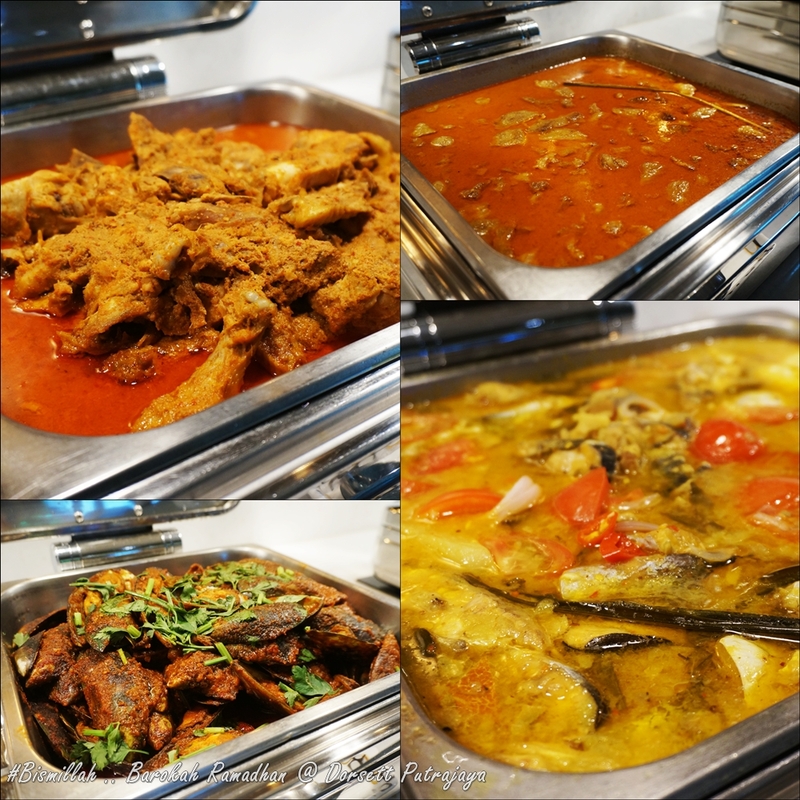 #Bismillah Barokah Ramadhan buffet dinner is priced at RM138 nett (adult) and RM78 nett (senior citizen & child of 6 to 12 years old). 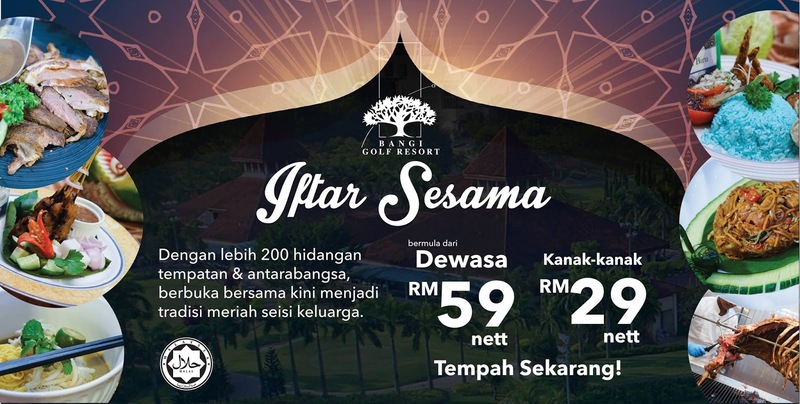 And not only that, apart from the sumptuous #Bismillah Berbuka Puasa buffet dinner, Dorsett Putrajaya has also extended 2 special offers for fellow business and leisure travellers with Ramadan Room Deals. Stay with Dorsett Putrajaya during this Holy Month! Room rates from RM320 nett per room night with inclusive of breakfast / Sahur and #Bismillah Berbuka Puasa buffet dinner for two persons. Whereas, the price for room deal for only breakfast/ Sahur is RM280. Is there any Mobile Legends: Bang Bang (MLBB) gamers here? It is not a new game to the world of esports with over 500 million installs and 60 million monthly active users globally so no wonder that MLBB is in the top 10 grossing ranks. I am among the ones that contribute to the statistics. Developed by Moonton, the game is enlisted for a medal event at 2019 Southeast Asian (SEA) Games scheduled for this November in the Philippines. In February, a collaboration with popular French football team Paris Saint-Germain (PSG) was announced in which PSG unveiled its Mobile Legends team, PSG.RRQ. Malaysia is among several countries to be simultaneously launching the month-long 515 Unite Day campaign. Moonton Regional Marketing Manager for Southeast Asia, Nelson Woon said, the campaign will serve to unite gamers and non-gamers to the Mobile Legends: Bang Bang game. "We are looking to gain new entries into the game and within the campaign, new game modes will be released as we strive to defeat an upcoming darkness." Psst. Here are some teasers for the campaign. This year's campaign will consist of three phases while bearing the trend #515Unite and #MLBB. The first phase will involve piquing the curiosity of the public through various methods before Cosplayers are roped in on LED lit-trucks that will drive around the country in the second phase. The culmination and third phase will be from May 15 onwards where an 'in-game' the event will be held. This will feature all the MLBB heroes reuniting to save the world. Among the teasers that one can expect are trailers screened in cinemas and outdoor or out-of-home (OOH) media, a 515 Unite theme song and a dance contest, giveaways consisting of figurines and merchandise, limited edition 515 Unite Touch 'N Go cards as well as free pizzas and thematic pizza offers by Domino's Pizza Malaysia. "Even the Olympic Council Asia has realised that the global viewership and content value for esports has overtaken traditional sports, and what follows next will be the revenue (i.e. sponsorships, content and media rights, ticketing and merchandise). That is why we have esports as a medal event on par with traditional sports for Asian Games last year (2018) and SEA Games this year (2019)," Woon added. 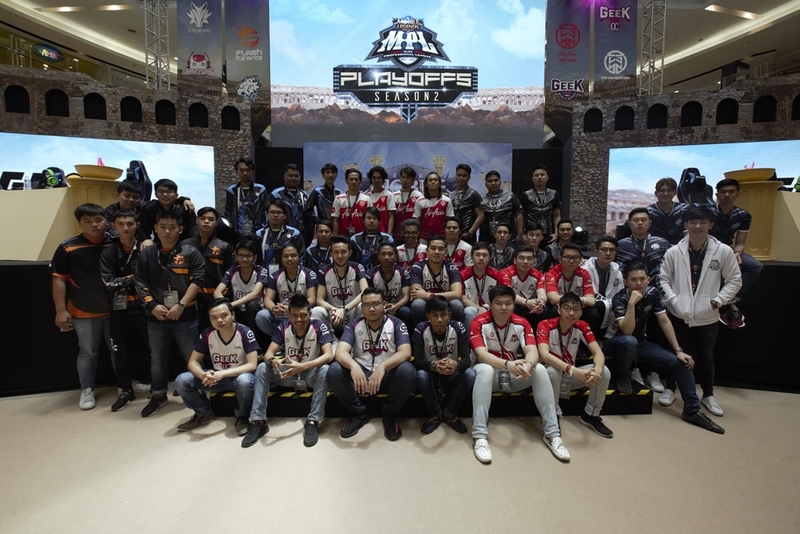 Confident that in a span of a single year there would be more of an esports audience, rather than those watching typical sporting events, Woon cited PSG's partnership and the launch of ONE Esports by Singapore-based martial arts organisation ONE Championships as examples of eSports booming. The 515 Unite campaign will kick off in Penang's Gurney Paragon Mall on April 21 before heading further north to Alor Setar on April 27, at the Menara Alor Setar-Aman Central. Ipoh hosts the third stop on May 1 at AEON Station 18 and then the campaign makes its way to Sunway Pyramid in Selangor on May 4. 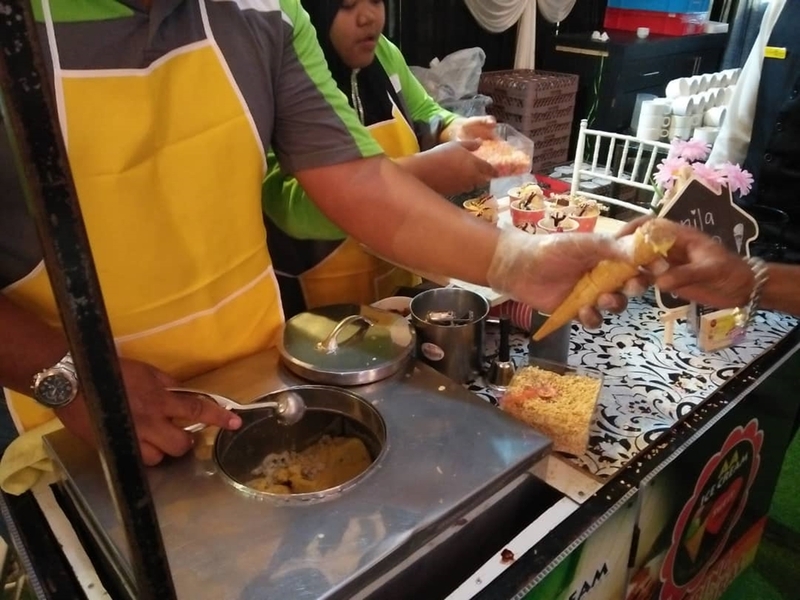 Domino's Pizza in Bandar Baru Uda, Johor Baru will host the second last stop on May 11 and on May 18, the 515 Unite Day campaign comes to a close at Fahrenheit 88, Kuala Lumpur. Besides that, Domino’s Pizza Malaysia will be releasing the 515 Pizza Offer during the 515 Unite campaign period at all 238 stores nationwide with exciting contests and rewards. 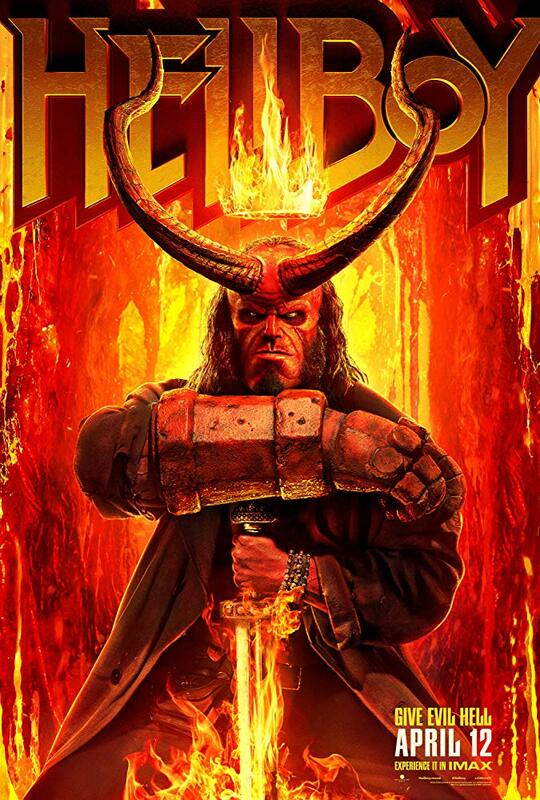 When I saw that Hellboy was airing, I immediately bought the ticket as I am intrigued as I was not aware that there is the 3rd live-action of Hellboy. And I don't remember seeing the trailer/ promo video in the cinema too. 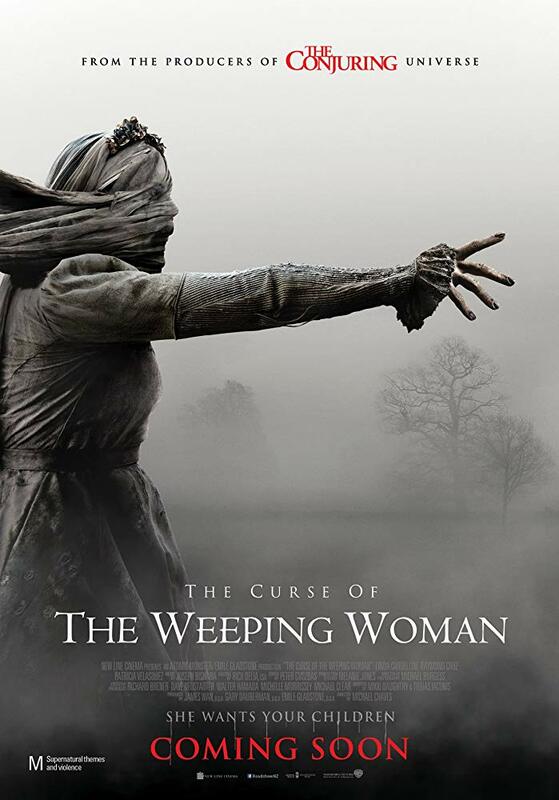 This film adapts the England-set Hellboy stories "The Wild Hunt" and "The Storm and the Fury", where Nimue becomes the Queen of Blood and Hellboy in his battle with her brings about the apocalypse. The movie starts with a backstory of the demise of Nimue by Merlin and King Arthur. With her limbs being torn to pieces and each part kept in different caskets, Nimue, The Blood Queen vows that she will one day come when she will back to inflict vengeance on the world. 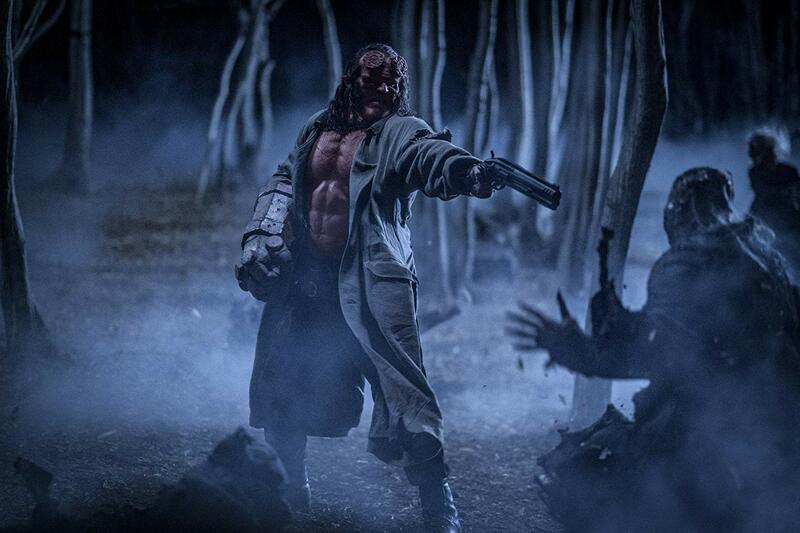 In modern days, Hellboy was given the task to ascertain the whereabouts of Ruiz, who is missing after being sent to investigate a vampire's lair in Mexico. He accidentally killed Ruiz during their wrestle in a ring fight. Devastated, he drinks his sorrow away. Then his father sends him to assist in a giant's hunt in London where the group suddenly turn their backs and tries to kill Hellboy instead, as they believe that Hellboy will be the end of the world. Hellboy manages to survive the attack and have to kill the giants too. He fainted due to loss of blood and Alice, his long lost acquaintance, saves him. Alice is a psychic that interacts with the souls of the dead ones. When his father tells him that the current attacks on churches and abysses are related to the release of Nimue, Hellboy are send to hunt for her together with Alice and Ben, a soldier that will turn into jaguar when angered. During one of their hunts, Hellboy sees the vision of Nimue who tells him that together they can build a world where they are not being feared by everyone. Intrigued by the idea of such world, Hellboy seems to be distracted and at times a bit unwilling to commit to their cause ie to kill Nimue. 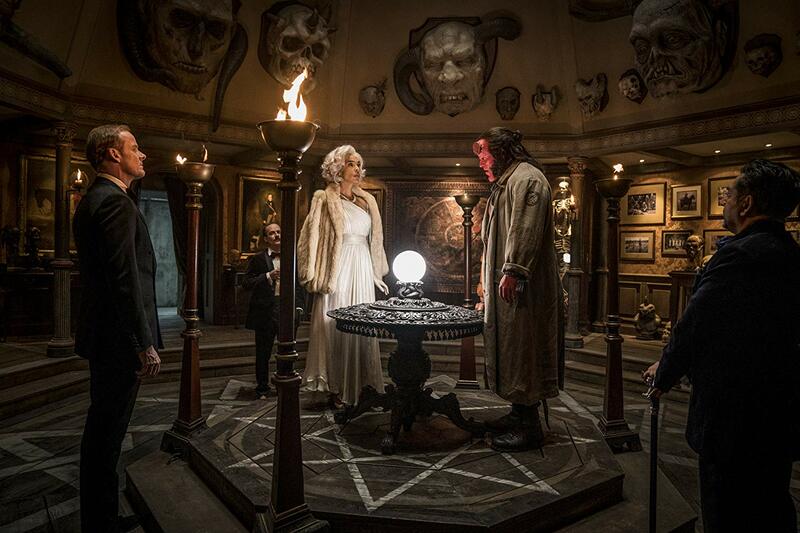 Who will Hellboy choose - the world that fears him or rule together with Nimue and kills everyone that opposes them? Plot: 3.0/ 5.0 I was a bit confused with all the new characters in this one. So many new characters that were not from the first two movies. The storyline is simple - Nimue gets assembled and tries her best to overrule the world. Hellboy will try to stop her, while at the same time intrigued by the idea of a world where he can live freely. At times, the movie became a bit heavy and draggy but overall, it was just ok. Cast: 3.2/ 5.0 Not the best of a cast but when I see Milla as Nimue, the Blood Queen, I rejoice! Others are just ok. And it seems that Hellboy is a bit stiff moving his right hand. Will I watch it again: Not in the cinema, I will watch it, whenever I want to watch Milla again. The pictures are taken from IMDb and other sources on the Internet. Thank you. 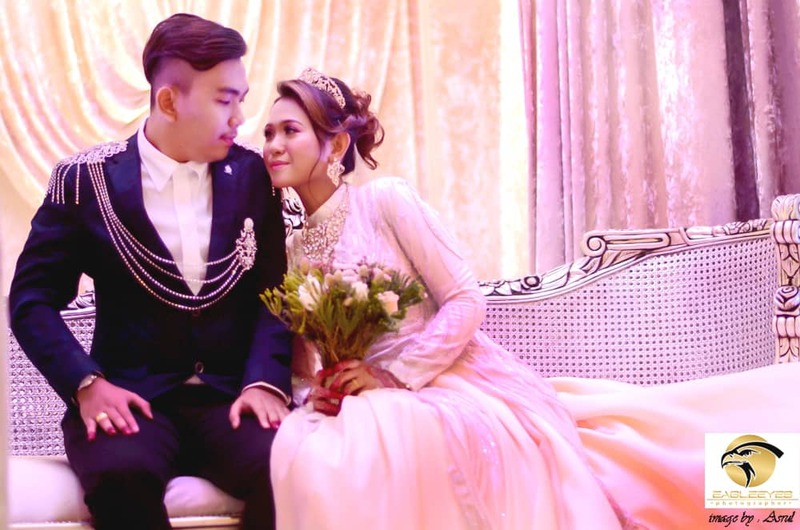 A wedding that cost RM500K? Wow! I bet that's your first thought when you see the words. And your next thought might be "The newlyweds must be some sort of business mogul or their immediate family members, a celebrity or of royal descendants." So did I! This particular wedding is actually none of the above. 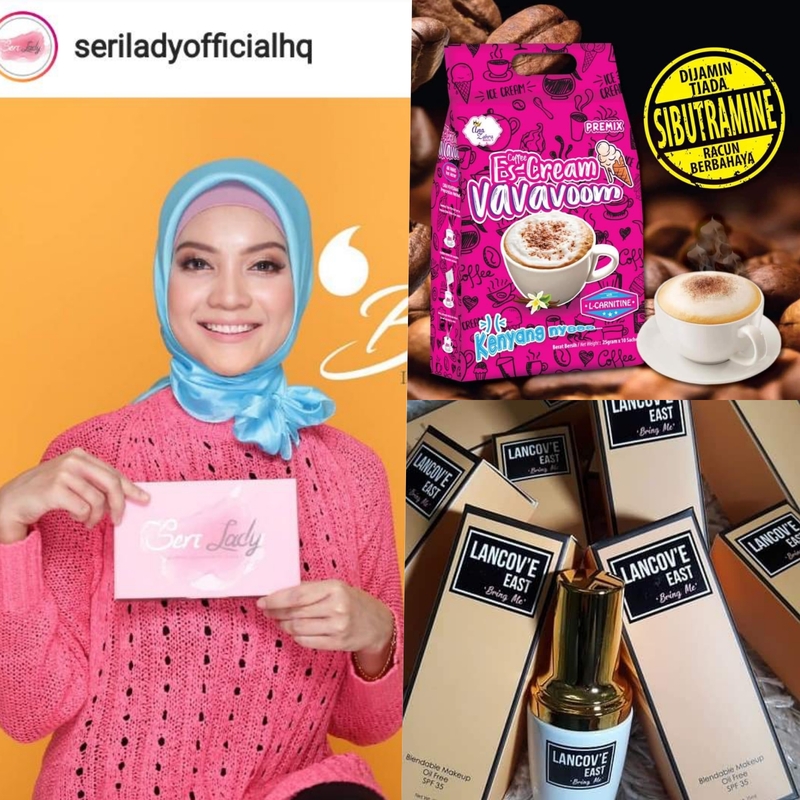 Siti Suriani is actually a KOL that has been promoting various items online for the past 3 years. She is also a host for Jamumall.com, an online shopping portal for beauty, health, fashion and food items. 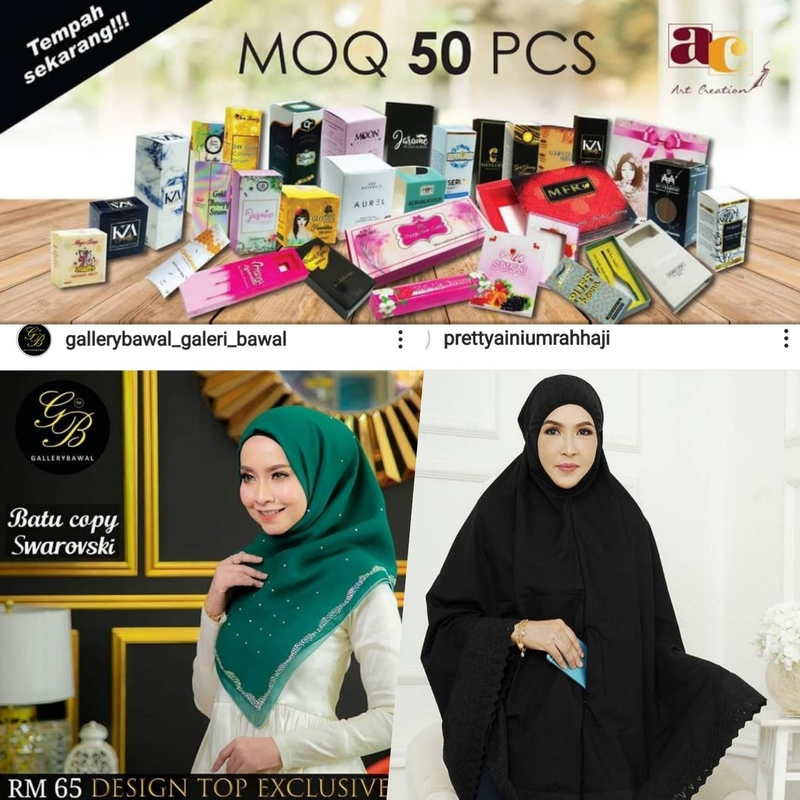 Siti Suriani is also known as Siti Jamumall. She initially planned to have a smaller scale wedding that includes family and friends only. 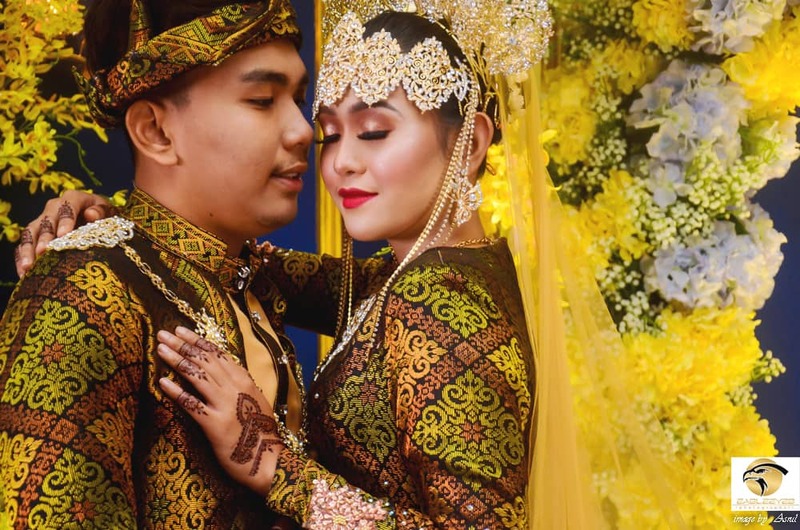 But being a KOL, after she updated her FB status of having her wedding soon, she was blessed with non-stop offers to become sponsors for her upcoming wedding. It is kinda pay-it-forward kind of act, her good sincere acts brought all these good people to assist her for her big day. 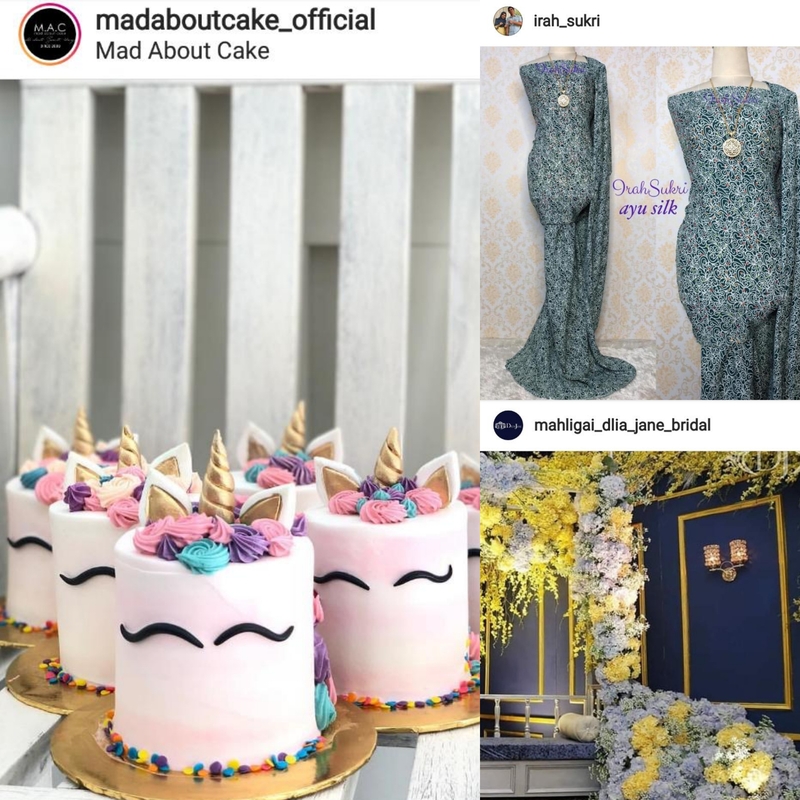 So, her big day was sponsored all through and through - started from her nikah day, pre-wedding event & photoshoot, berinai night, wedding reception and not forgetting her honeymoon too! 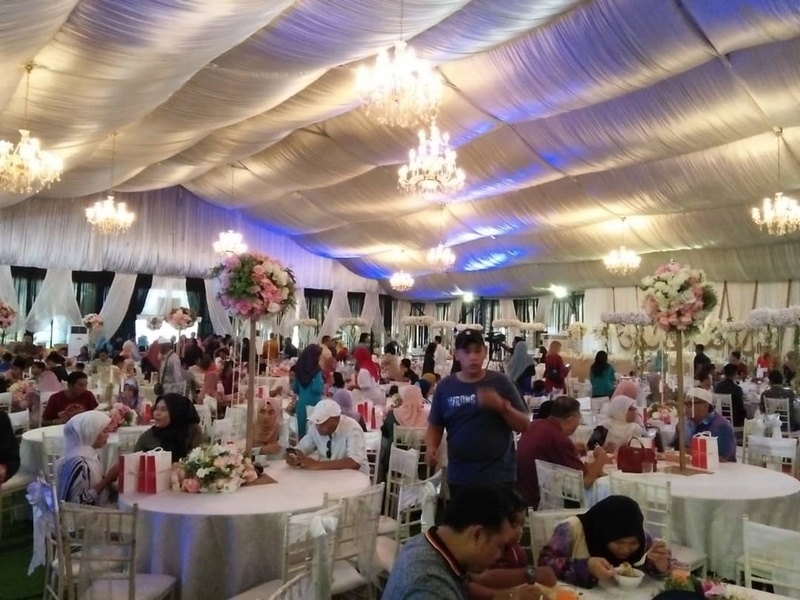 The wedding reception took place last Sunday, 7 April 2019 at Laman Kayangan, Shah Alam with thousands of guests that include some of Malaysia's A-list celebrities. 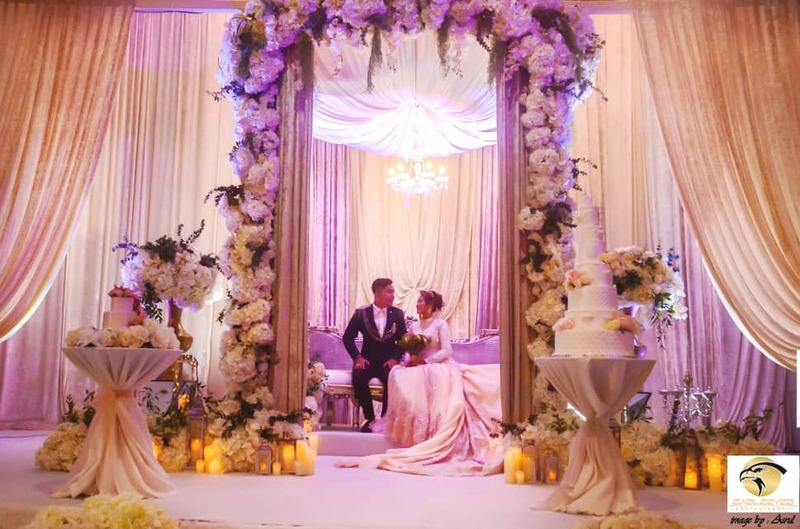 The wedding received sponsors of all sorts from about 100 companies that Siti Jamumall had promoted over the years. And listed below are the Top Sponsors for the big day. So there you go people, good deeds never go unrewarded! Be kind to one another and you will be rewarded, one way or the other.